Will California Ever Recover From The Drought? On Monday, March 2, 2015, Stanford scientists published a paper in the journal Proceedings of the National Academy of Sciences detailing the findings of their study on climate change and the role it plays in California’s drought. The main finding from the study was that human caused climate changes are actually increasing California’s chances of drought. These man-made causes are also increasing the risk that the drought will become a permanent problem for California’s future. This bad news comes the day before the third manual snow survey in the Sierras. Nobody expects the news from the survey to be very good, especially if you consider that according to the data from other electronic readings water content is only at 195 when compared to the average for the date. To make matters worse weather agencies are reporting that the 2015 winter has been the warmest winter on record for several Bay Area cities. In fact, many of these cities have broken several records for highest temperatures. Average temperatures in San Francisco this winter were 57 degrees, up just less than 2 degrees from the previous record of 55.70 during the winter of 1970. So far, the winter of 2014-2015 has seen the lowest amount of precipitation in a calendar, as well as record breaking high temperatures. But, despite how bad things might seem the Department of Water Resources will raise the State Water Project allocation to 20%, which is 5% more than last year. And, the reason this is happening is because of the storms in December and February. So, what does all of this mean for California and will the state ever be able to reach 100% again? That is something that these Stanford scientists set out to discover. 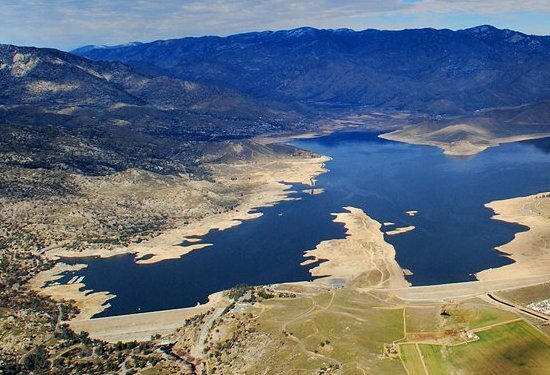 The last time California water levels reached 100% was back in 2006. And, while the scientists cannot solve the problem of the drought becoming a permanent problem for the state they do believe that what they discovered can help plan for the future. Older studies theorize that the reason for the current drought in California is the high-pressure system that remains stalled over the Pacific Ocean. The high-pressure system being stalled over the ocean is what is causing the storms to be pushed away from California, which increases the risk of a drought. The studies also found an increased risk of stalling high-pressure systems when greenhouse gas concentrations were present. The new study went a step further and delved into 120-year-old data that was just recently released. What they discovered was that the number of droughts nearly doubled in frequency. During 1896-1994, California saw only 14 droughts, but through 1995-2014 California saw 6. During 1896-1994 drought conditions, which is where you have low precipitation and warm temperatures occurred only about a ¼ of the time. Now thanks to climate change warm weather is happening most of the time, so warm and dry conditions occurring in the same year is becoming more common. And, it is the warm temperatures that are causing the extreme drought conditions, as the warm weather causes snow t melt faster, but also dries out the soil. The drier the soil the less snow run off there is to fill the reservoirs. Now these Stanford scientists cannot predict the future, but they can create simulations they can use to predict what is going to happen next. What they see happening is the warmer weather trend continuing, increasing the chances of warm and dry years, which will increase the number of droughts California will see.